In today’s world, city planners, engineers, and law enforcement need to quickly understand and visualize their environment to gain insight. 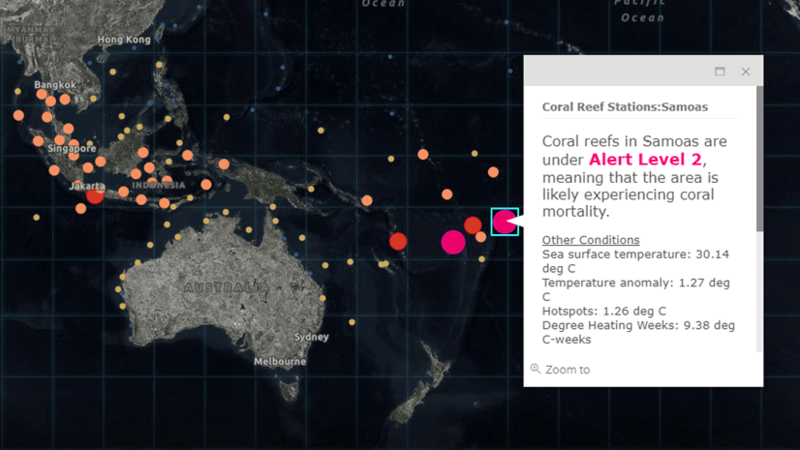 The ArcGIS Earth V1.8 release is jam-packed with new capabilities. Interactive analysis tools in this release make visibility assessment easy — enabling you to make informed decisions without waiting for someone else to do geoprocessing. These tools can help identify threats in tactical operations, find vantage points that could be exploited, and best placements for observation points. Download from here. Elevation Profile – Before hiking on your favorite trail, use the Elevation Profile tool to create a profile graph from terrain or surface data using Esri’s World Elevation Service or your own proprietary content. 3D Measure – The 3D measure tool empowers you to measure distances dynamically on terrain, buildings, or other 3D objects in the scene. Line of sight – Identify visible and non-visible objects in an area of interest with the line of sight tool. Create sight lines from a specific point in the scene or from the current camera position. With the From animation option, perform line of sight analysis along a selected line to help you determine visibility along a route. You will see how much coverage that a vehicle or drone could observe through the animated line of sight analysis. 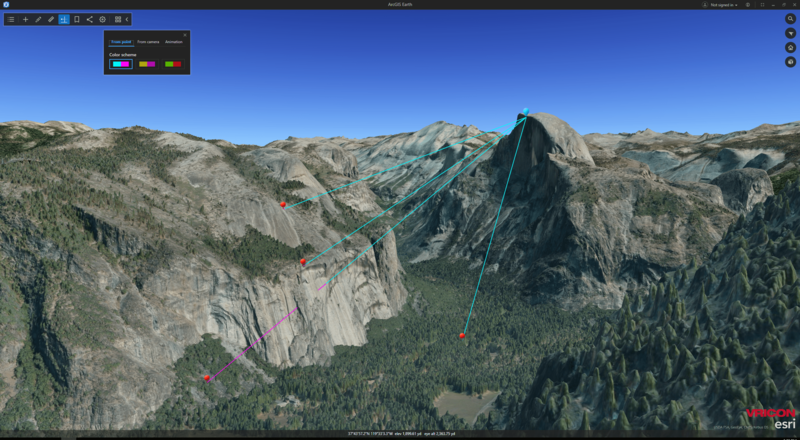 Using line of sight capability to analyze sight view near half dome, Yosemite national park. Imagery data from Esri partner Vricon. Viewshed Analysis – With viewshed analysis, adjust heading, tilt, horizontal, vertical, and range parameters to see the entire visible surface area from a sensor or human observer. With the Animation option, you can preview how much coverage a moving object can see along a path. 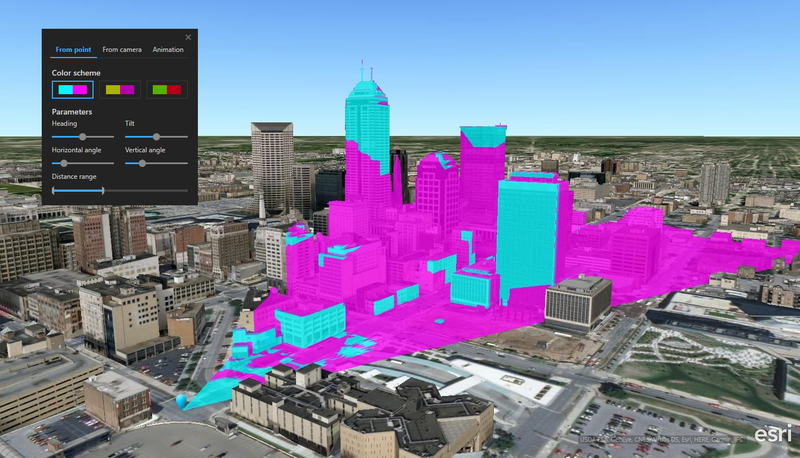 Uses of the viewshed tool include site selection for buildings, radio/cell phone towers, or parking structures, for example. The tool could also be used for selection of survey locations and discovery of good security camera positions. The release of 1.8 includes two new portal information items – Web scenes and Web maps. Use web scenes and web maps to organize content in Portal for ArcGIS or ArcGIS Online that can be shared across web and desktop tools. You can also load Feature collections layer. And you can use tile package for ground elevation surfaces. 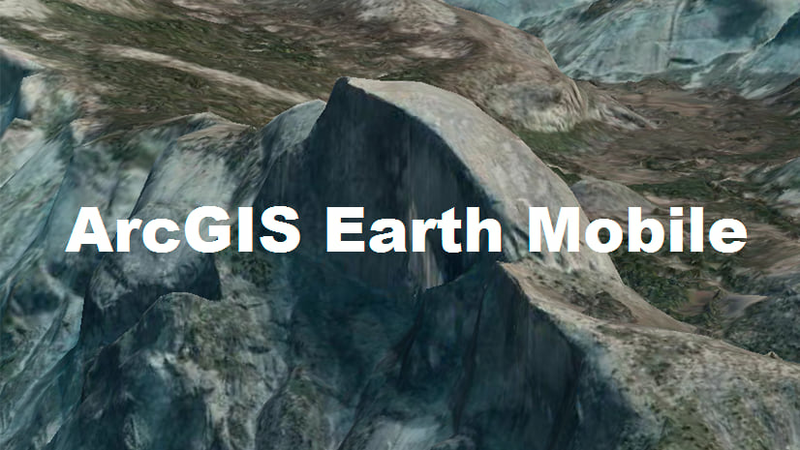 ArcGIS Earth intends to deliver a game-like immersive experience. Recently, we improved the user experience by adding bookmarks, the new exploring mode, and capability to customize the start-up view. Some of the other updates include display of measurement on line segments while drawing, geosearch with multiple geocoders, and identify for scene layers. Users can also access ArcGIS Earth from the Microsoft Store. All of this capability is in your hands to help you dive in and interact with your 3D content instantly. 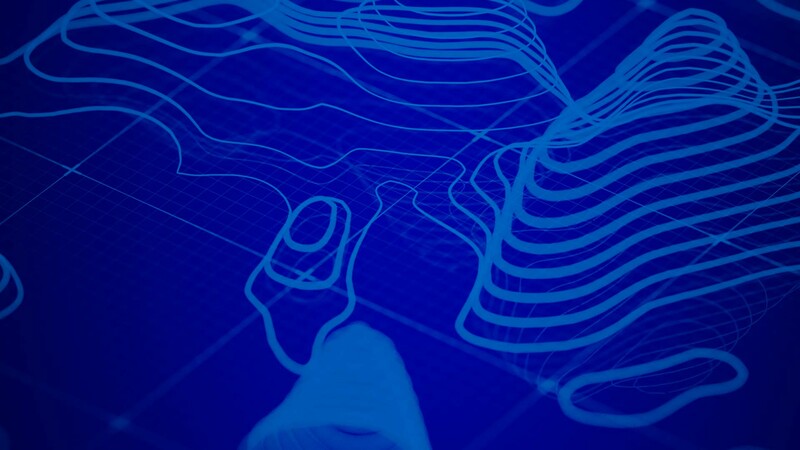 This is just a taste of the goodness in ArcGIS Earth 1.8. To find more about what is in this release, visit our website. In addition to this release, we have released ArcGIS Earth for Android mobile devices in Alpha. 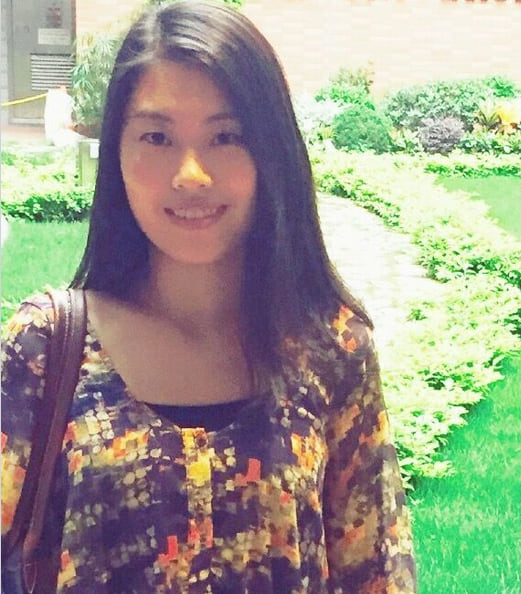 Try it out from the Early Adopter Community or the Google Play Store. ArcGIS Earth on Android is in Alpha! We are releasing a mobile version of ArcGIS Earth for Android devices to our Early Adopter Community and Google Play Store.